The following examples are selected sections reduced to mp3, to get a feeling of the CDs. The complete sound files that are availabe om this website are produced by artists displayed on this website. 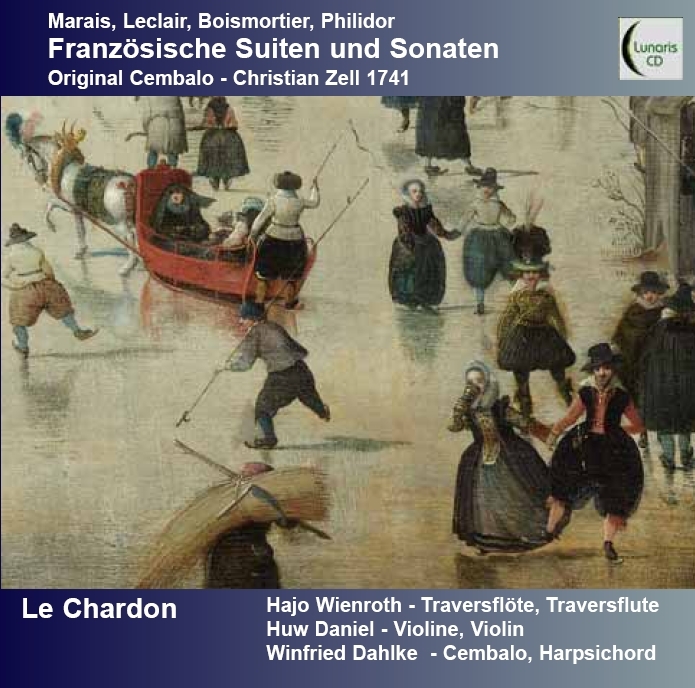 To order Cds simply write an e-mail to Le Chardon. Each CD is 15 € plus 2,50 post and package prepaid (if two CDs are ordered, post and package is free within Europe, please ask for conditions for orders from other countries). Arias for tenor and orchestra. 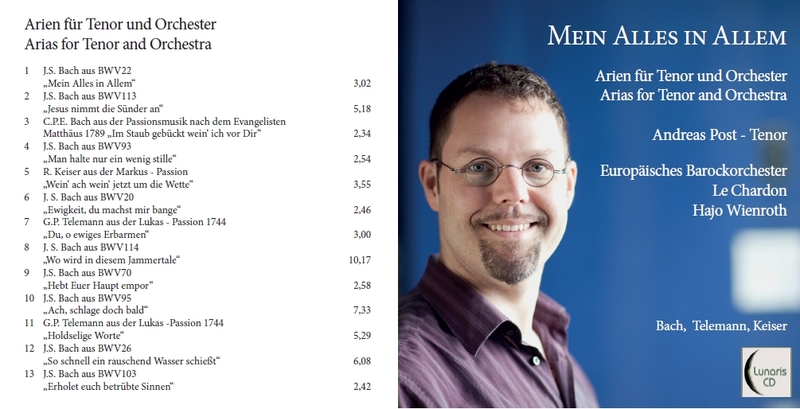 Recorded in the wonderful acoustics of the hugh church in Bunde, placed in a quiet surrounding. Fotunately we were able to organise an ensemble of international top class players, who make a dreamlike sound together with the fantastic voice of Andreas Post. 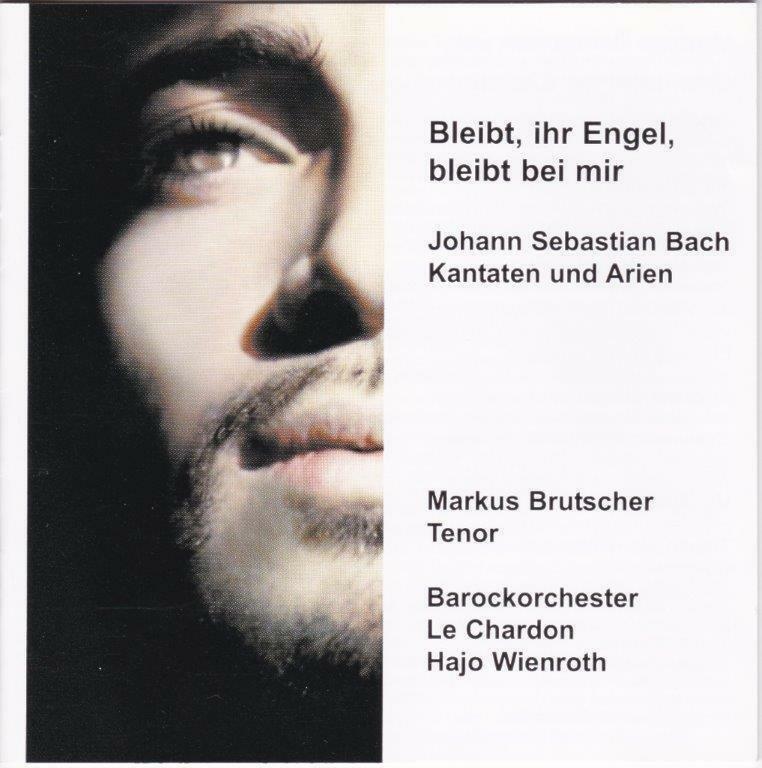 On this CD we have captured the most beautiful and comforting arias for tenor in the baroque period in a brilliant sound ambience. 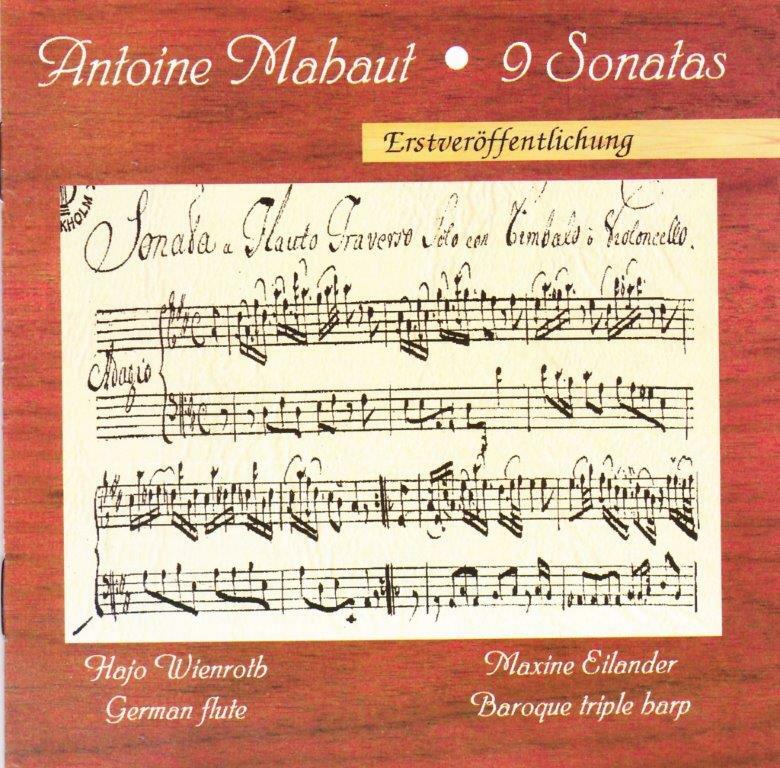 This CD was recorded at the Organeum, where the original Harpsichord that once belonged to the Ostfriesian Court is kept. It is one of the three harpsichords built by the famous Christian Zell, very probably the one best sounding of the three. The effort of very much research work on the Ostfriesian Princes, the music at the court and the harpsichord had a direct influence on the whole project and unreveals many secrets about the history and the harpsichord itself, beeing written in a well documented CD - booklet. Since the year 1965 this is the first recording and the first CD recording at all of this instrument, documenting a very important part of the Ostfriesian history and a striking novelty to the music history in general..
this is a recording in audiophile quality of the famous german tenor Markus Brutscher, well known for his outstaking interpretation and timbre of his voice. The listener is led to deep emotions from suffering, desperation to confidence. Brutscher is congenial accompanied by the European Baroque Orchestra Le Chardon under Hajo Wienroth. The wonderful dutch countertenor Maarten Engeltjes performs arias by Bach and Handel. 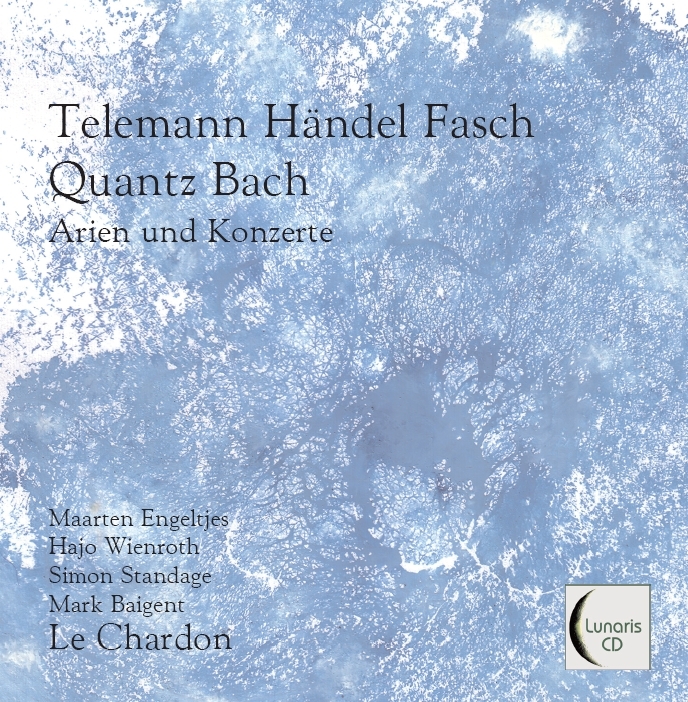 Mostly unknown double concertos by Telemann and Fasch and a flute concerto by Quantz are also on this CD. A very lively and high - fildelity recording. 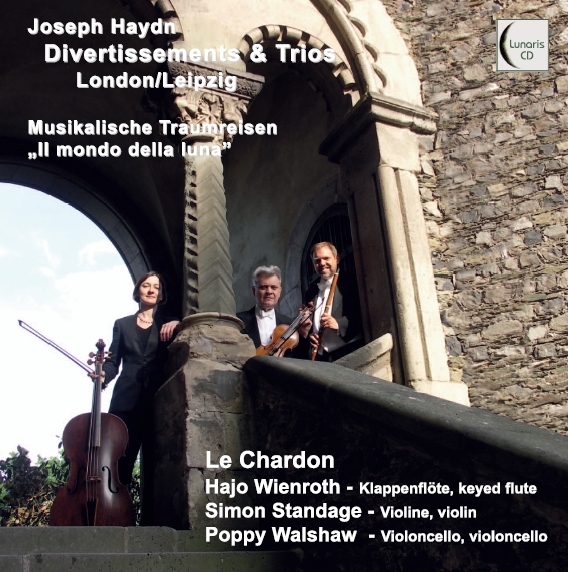 Haydn is thus shown with his full sense of humour, spirit and nuance,within the language of Classicism. this is the new recording of all 3 Scheibe Sonatas this beautiful music is played by Winfried Dahlke on a wonderful harpsichord, built by Klaus Ahrend and Hajo Wienroth on his Traverso. 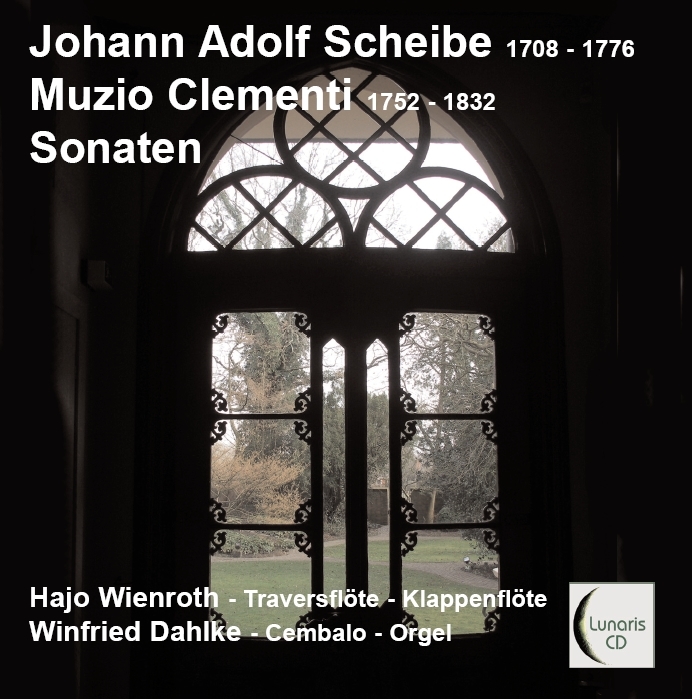 With the Scheibe comes a beautiful Clementi Sonata performed on a chamber organ from 1804 and an original flute from 1810.
is the first recording of a collection of handwritten sonatas, kept in Stockholm. The bassline of the handwritten sonata is not figured, it was completed for the recording. As continuo instrument a baroque harp is used, which gives a beutiful sound combination together with the traversflute.